When your product and engineering are better than the competition, how do you make sure that shoppers receive that message when they are in store and ready to purchase? 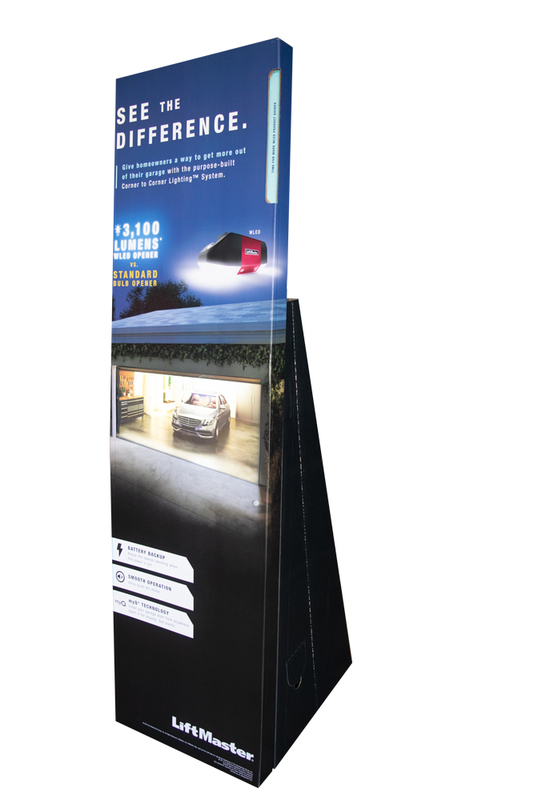 Show don’t tell with an impressive 6 foot tall corrugate standee that demonstrates exactly how your product is better. 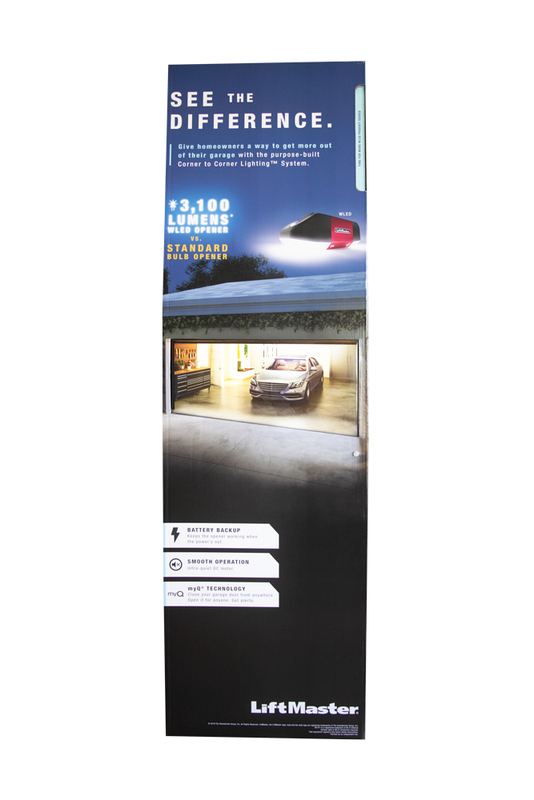 Working with LiftMaster and its agency, Americhip designed and produced an impressive floor display highlighting LiftMaster’s new garage door opener—the only one in the market that puts out 3100 Lumens of light. To drive this point home emphatically with consumers, we embedded a large light panel in the middle of the display that illuminates every time a consumer passes by. Our engineers designed our lighting element to throw off the same color and intensity as the actual product so that consumers truly “see the light” about this new product. The campaign’s tagline—See the Difference--perfectly captures the unique essence of this Lighted Floor Display. Partner with Americhip to create your innovative and compelling instore Light, Audio or Video Display.